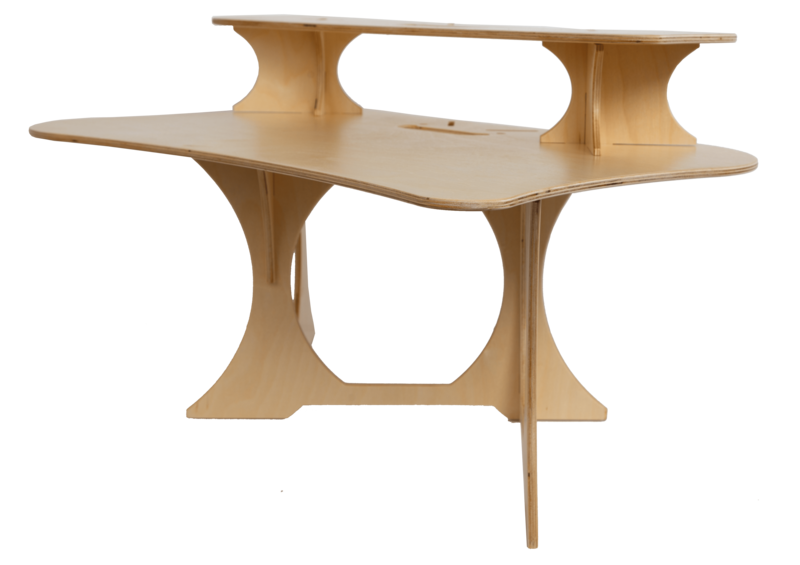 StandStand Grand in birch turns your desk into a work of art. Graceful lines, beautiful and sustainable materials, and the flexibility to meet your needs. Made in the USA. 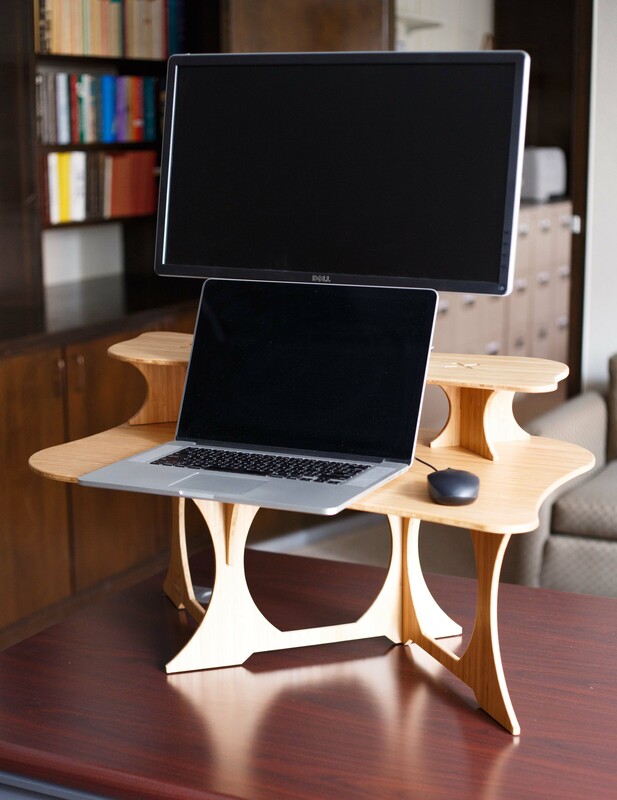 StandStand Grand in birch is a desk to stand up for! 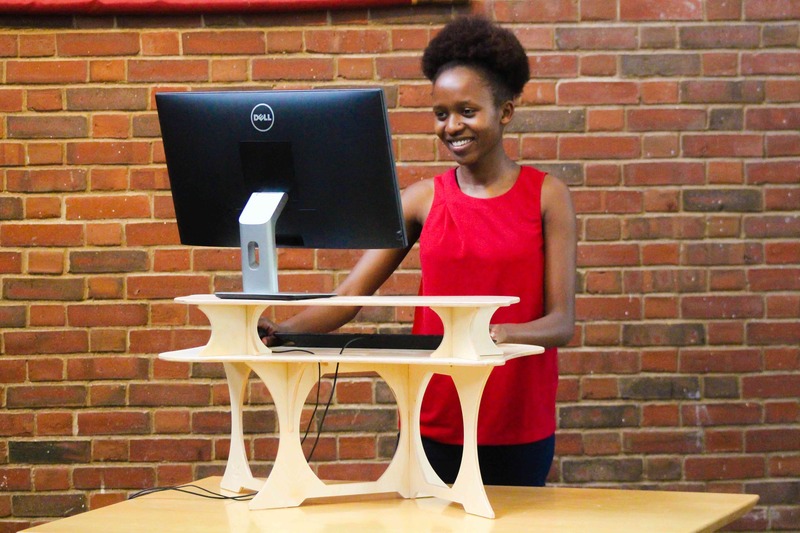 The artistic design and elegant material will fit any setting and will inspire you to achieve the health and productivity benefits that come with standing at your desk. 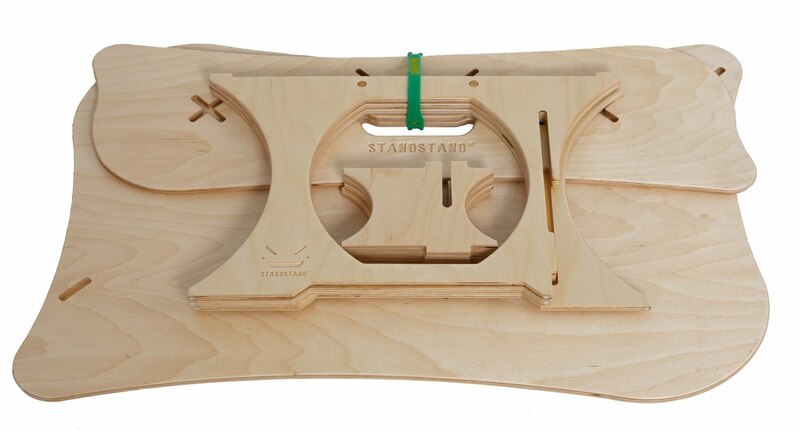 StandStand Grand weighs ten pounds, collapses flat for easy transport, and assembles in seconds. The main surface measures 30″x20″ and is ideal for computer work, papers, or any variety of desk functions. The removable monitor platform rises an additional 4″ above the main platform to bring your screen to an ergonomic eye level. The space underneath the desk remains open and functional, and the logo cut into the desk provides an option for cord management. 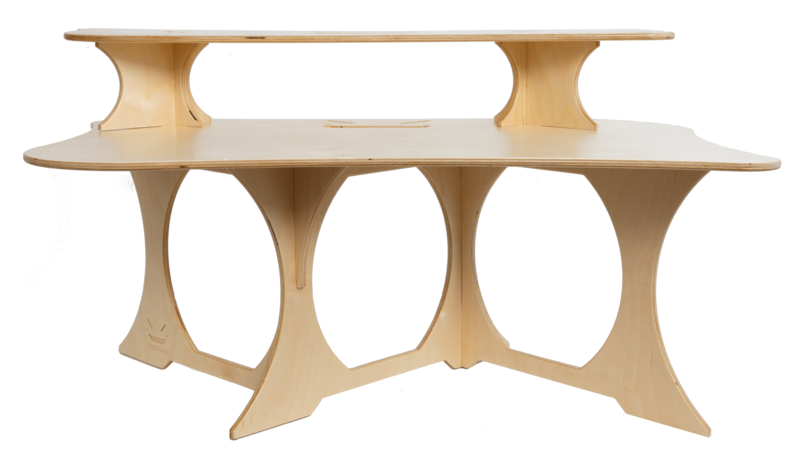 StandStand comes in a bright, natural birch plywood that is hand-sanded to a smooth touch. You can use your Grand straight out of the box, or you can add a finish such as Danish oil or polyurethane to provide long-lasting protection from dust and moisture. 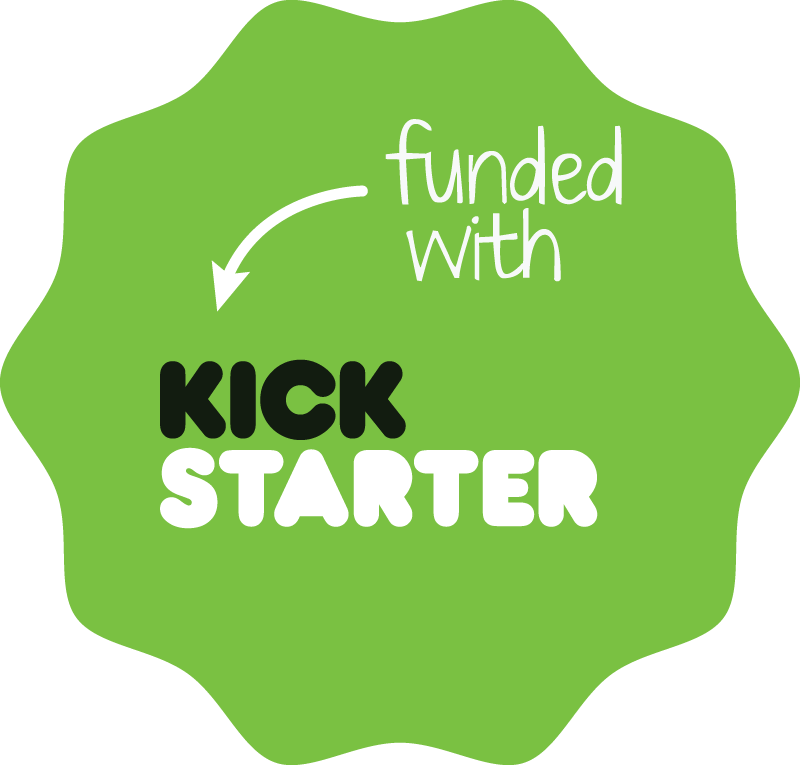 If you’d prefer a StandStand with a deluxe lacquer finish, check out our bamboo version (shown in the video below). Love the clever and minimalist design of this desk. Wonderful quality and so easy to assemble. Just the simple solution our office needed. This was our first experience with StandStand and we were impressed with how amazing customer service was! We needed to exchange for a different size and received a helpful response almost immediately! Definitely worth a try.